How to draw Anime Yuki Nagato. 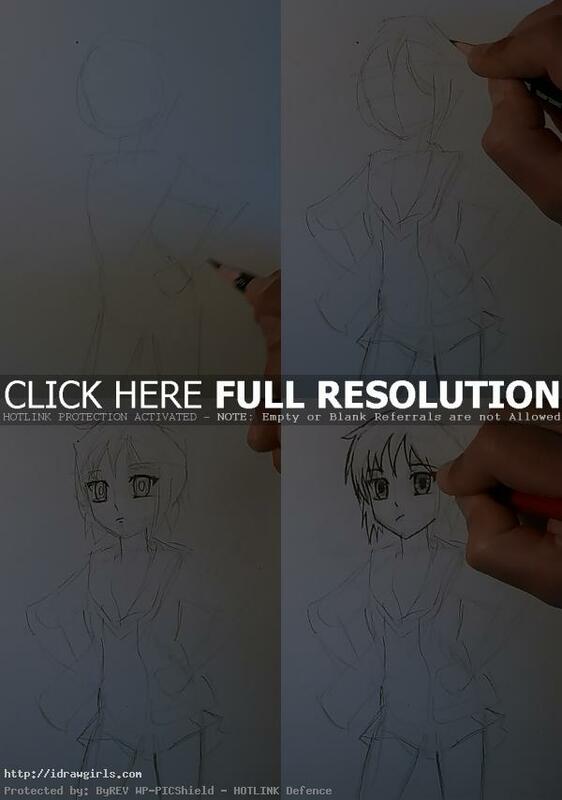 Learn how to draw Anime character Yuki Nagato from video instruction and step by step tutorial. This post is a very basic drawing tutorial easy to follow to anyone who beginning to draw. This tutorial will show you how to draw Anime face, head and hair. Then follow along it will show you how to draw Anime girl body from start to finish. Also there will be some tip and technique on drawing cloth, jacket, skirt and folding or wrinkle. So let’s start drawing. Yuki Nagato (長門 有希 Nagato Yuki?) is a fictional character in the Haruhi Suzumiya franchise. She is initially portrayed as an introverted, taciturn bibliophile. She is actually an artificial human created by the Data Integration Thought Entity, and possesses supernatural powers as a result. She did not act to join Haruhi Suzumiya’s SOS Brigade. She observes and takes part in club activities on the behalf of the Entity while still being the only member of the Literary Club. Here is a final quick drawing of Yuki Nagato. 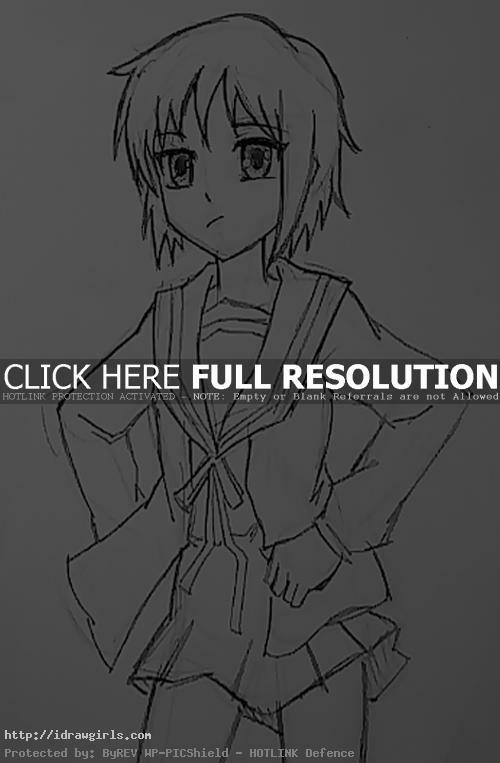 Watch the video tutorial how to draw Yuki Nagato. Below are step by step images drawing, you can look at it along with the video or after to get a better understanding of the lesson. Step one, I rough sketch a gesture drawing to be the base of the whole drawing. I draw a circle for her head shape, then her upper body, hip and her left arm resting on her hip. Step two, I sketch a vertical and a pair of horizontal lines to indicate her facial measurement. Then I draw rough shape for her hair. Step three, now I can use darker line drawing her eyes since I already had under drawing measured. Step four, now I will just draw final darker line throughout the whole body, face and hair base on the construction sketch line I had. And done! Watch the drawing video tutorial for more in depth detail instruction.